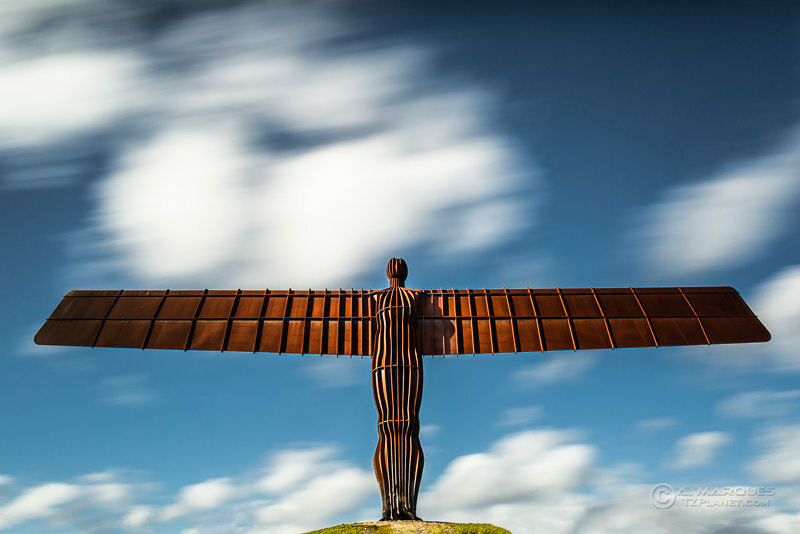 The Angel of the North is located in Gateshead, Northeast of England, UK. The steel sculpture, Britain’s largest, was commissioned to Turner prize-winning artist Antony Gormley by the Gateshead Council. Standing at over 20m tall and 54m wingspan (wider than a Boing 757), the Angel of the North is one of England’s most recognisable landmarks. © 2014. All rights reserved. All content on this site is protected by International Copyright Laws and can't be used or reproduced without permission.